While looking for the best possible return on investment for fixed income research, Outsource2india tops the list with satisfied clients vouching for us. We are one the of the most preferred fixed income research service providers. Our select team comes with over 20 years of expertise in financial research services. Whether you are looking for insights on complex financial or technical environment or want expert opinion on high-risk business decisions, we make sure to have your back. Outsource2india helps you meet changing global economic scenarios and unsteady policies in the worldwide bond markets. Municipal Bond Issuers Analysis - At outsource2india, we specialize in analyzing municipal bond issuers like cities, hospitals, public utilities, etc. We are an industry leader in financial research and analysis, trusted by our clients and partners globally. Outsource2india has helped numerous clients achieve the best out of their investment decisions by deploying our advanced techniques of data analysis. We believe in backing strong business decisions with precision and care. Other services we offer include investment banking support, investment research, corporate finance support, etc. 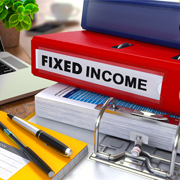 So, if you are looking for fixed income research services in India, then you are at the right place. Just get it touch with us to know how we can help you.